Clarence Wayne Warren Sr. – Hall of Honor 1984: Clarence Warren was born on August 23rd, 1929 just prior to the Great Depression to Nannie Tom Williams Warren and Clarence Herman Warren to a railroad working family. He went from living on trains before starting grade school to graduating National Honor Society from Olney High School. Clarence lettered and excelled in football, basketball, track, tennis and golf at Olney HS along with being on the debate team. 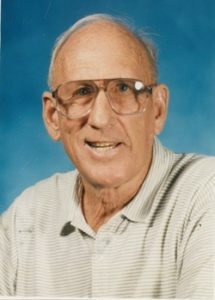 He was a member of the Texas Oil Bowl basketball team his senior year at Olney in 1947. That same year, Clarence became a member of the National Sports Society for Football that is now the Parade All American Award. During his early years in Olney, Clarence was influenced by many fine teachers and coaches such as Cotton and Catherine Franklin, and WD Jeter, who all had graduated from Austin College, which Clarence chose to attend to become a minister or educator. Coach Warren was a fine Christian influence to all that crossed his path. Many young men and women played ball for him and looked up to his firm manners and kind heart. Former classmates, players, parents, and coaches called him for years from his days coaching at Celina, Iowa Park, El Dorado, Dallas ISD to Baton Rouge Redemptorist, False River Academy in New Roads, La. and final job as tennis coach at Jennings HS in Louisiana. He was gentleman all his life, had a great following of high school and college friends that thought the world of his companionship in their later years. He was a wonderful providing spouse, parent and life-long Presbyterian that walked the Christian walk.